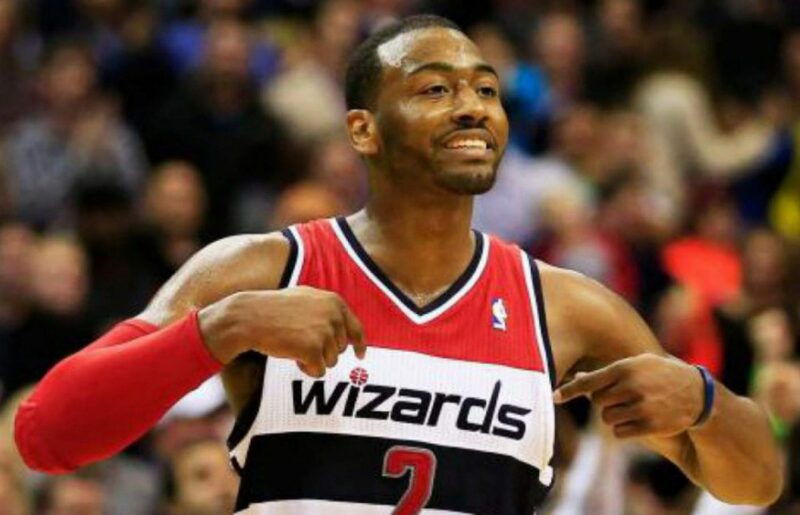 Wall, Wizards a buzzkill as Washington drops Charlotte, 109-99. John Wall led the way with 24 points and seven assists as the Wizards buzz past the Hornets, 109-99. Markieff Morris added 23 points and eight rebounds while Bradley Beal finally got his stroke back with 18 points and knocked down four three-pointers. The Wizards got off to a hot start in this one hitting on seven of their first 13 shots. Unfortunately, they went cold (1-6) after that. John Wall did not disappoint in a matchup with Kemba Walker which always draws some “oohs” and “ahs” as Wall hit his first five field goals of the game. Kelly Oubre jammed home a breakaway dunk with just .2 seconds remaining as the Wizards led 30-22 after one. After giving up the lead, the bench continued to battle back. Trey Burke knocked down two jumpers for the Wizards as they led by nine when the starters were reinserted. Washington finished the half off strong on an 8-2 run to take a 60-48 lead into halftime. After going 1-20 from three-point range over the past three games, Beal found his stroke in the third quarter as he connected on three three-pointers. This time, the Hornets were the beneficiaries of an 8-0 run to end the quarter as the Wizards were up just 6, 80-74 after three. Once again, the Wizards torched the nets going 8-10 from the field to start the fourth quarter highlighted by this tic-tac-toe pass from Wall to Oubre to Porter for a wide open three. The Wizards stretched this lead out to 17 at one point but were a little sloppy down the stretch. The Hornets never got closer than eight as the Wizards closed this one out 109-99 and get a much-needed road win. After going through one of the worst three-point shooting stretches of his career, Beal looked to have found a rhythm tonight. Beal hit a three-pointer early in the second quarter and you could feel the weight being lifted off of his shoulders. Beal had a hot shooting quarter in the third, as he knocked down three more three-pointers ending the night 4-9 from range. Hopefully, this will be the remedy Beal needed as big games against Boston and Atlanta loom. The Wizards started the first quarter 7-13 from the field and 8-10 from the field to start the fourth quarter. That enabled them to gain the lead early and stretch it out late when Charlotte made their inevitable run. The Wizards haven’t been the best team at starting quarters strongly but tonight was different. The hot fourth quarter start was much ado to the bench play of Burke, Smith, and Oubre who combined for 22 points tonight. Morris and Porter combined for 37 points and 21 rebounds tonight. It was Porter knocking down threes and grabbing rebounds early on while Morris was the one hitting big shots down the stretch. The duo combined to hit four three-pointers and Morris knocked down all five of his free-throw attempts.